In our case studies you will learn how Germany’s leading performance marketing agencies & top companies use E PWR successfully in e-commerce marketing – for more visibility, sales and performance power on Amazon! Learn from industry leaders’ strategies and gain valuable insights on how to make your ecommerce marketing & business even more efficient. 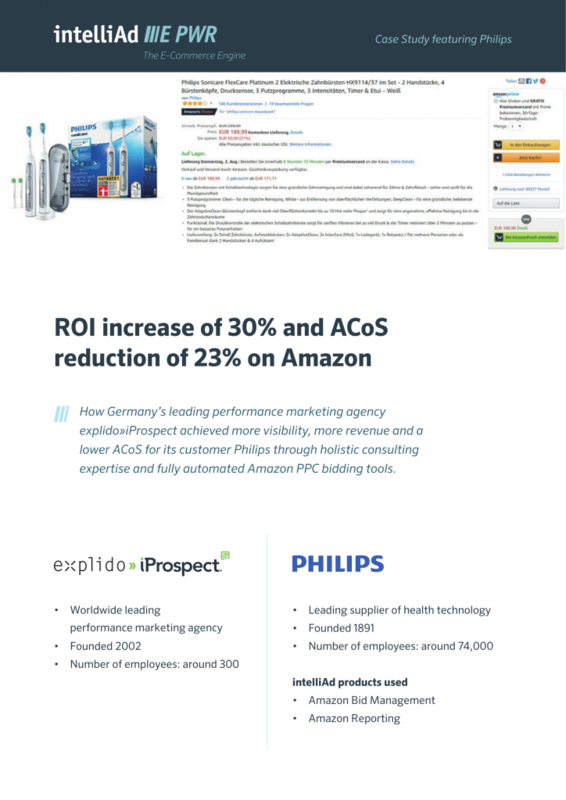 Learn how performance marketing agency explido»iProspect achieved more revenue for its client Philips.